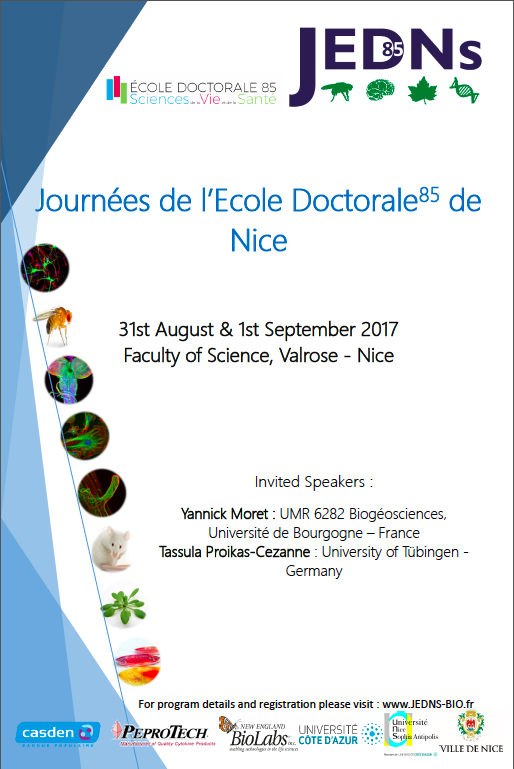 Each year, the “Journées de l’Ecole Doctorale de Nice” are an opportunity to bring together PhD students of the Graduate School of Life Sciences and Health (ED 85) at a conference open to all actors of the field (researchers, post-docs, master students, …). The purpose of the JEDNs is to provide PhD students with an opportunity to present their work, develop scientific interactions, open up their research and discover new topics addressed in the different laboratories of the Nice area. The 2018 JEDNs edition brought 160 participants on 2 days. It was the opportunity to welcome 2 keynote speakers, listen to 35 oral presentations and to discover more than 50 posters.